A legal practitioner, Mr Robert Clarke, on Tuesday said the Federal Government’s will not put an end to looting in Nigeria by simply releasing the list of alleged looters. 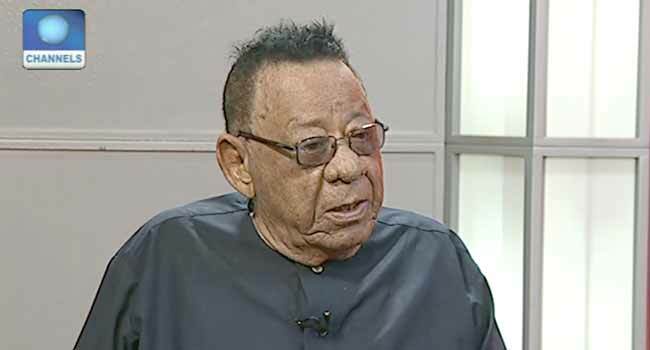 Clarke, who was a guest on Channels Television’s Breakfast Programme, Sunrise Daily, said there is the need for a corruption-free system for the Federal Government to successfully prosecute looters. “The content of the publication, there is nothing definitely wrong. The more people are shown to be looters, the better but that does not stop looting. It will continue until the system is changed. “No matter how you try corrupt officials, no matter how you try public officers, no matter how you try politicians, if the system is basically corrupt, it is wasted,” he said. The Senior Advocate of Nigeria said the released list of alleged looters released by the Federal Government shows its commitment to flushing the nation of sharp practices. According to him, Nigerians have the right to know those who are allegedly looting the nation’s resources. “Nigerians must be aware of the so-called looters, if there are looters. If anybody feels that his name has been put there without any justification, then the world will be able to listen to him,” he added. Clark, however, frowned at Nigerian leaders. He claimed that Nigerians have not benefited good governance since the country became independent. “Let me be frank, enough is enough in Nigeria. We have never had the benefit of any good government since 1960. The system that we have been carrying on with since 1999 allows for looting,” he said. Clark said Nigerians deserves good governance and the publication of a looters’ list is not what Nigeria needs, the most, at the moment. He commended the Federal Government for releasing the list but also believes the list is rather selective by focusing on members of the People’s Democratic Party (PDP) only.